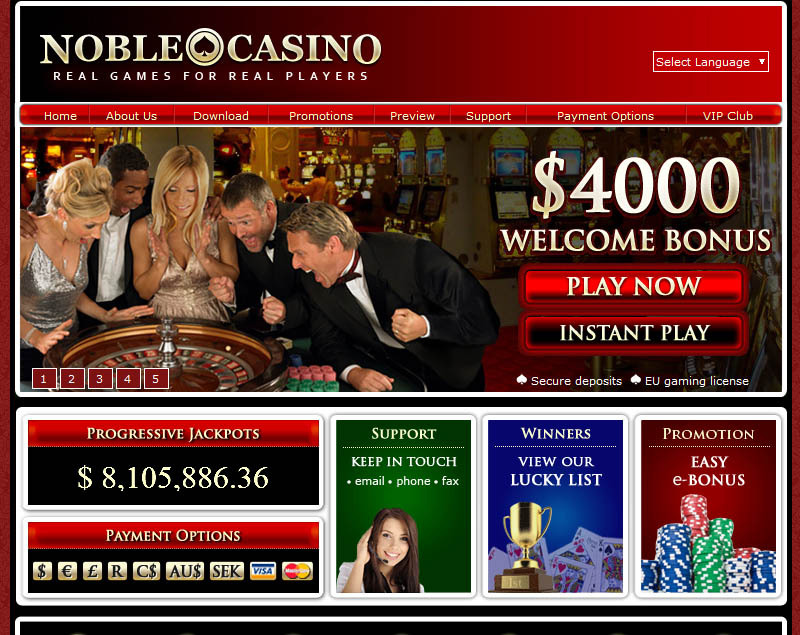 Established in 2009, the Noble Casino is one of the newest brands available to gamblers. 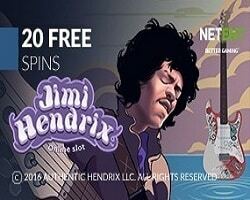 Powered by Playtech, the casino is owned by PartyGaming Plc, which is closely related to the Noble Poker by iPoker Network; known for their high quality of services and strict security. All the games provided by the site, are Playtech approved, what makes the entertainment an unforgettable experience. A very enticing $4,000 welcome bonus is accessible to the players. 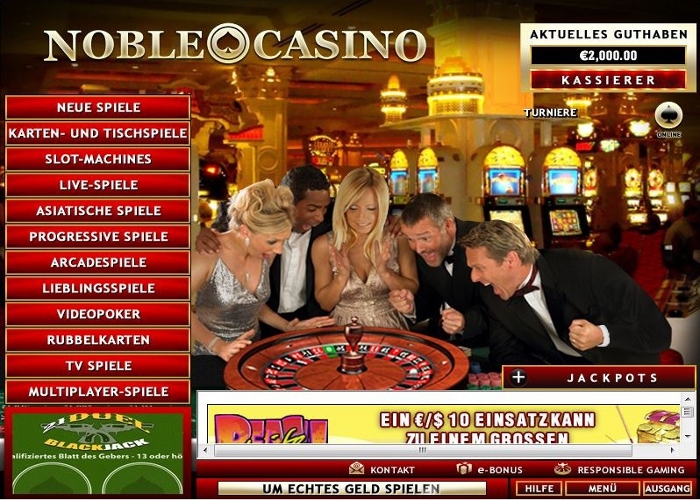 All the standard casino games are present at the Noble Casino, including: Arcade Games, Progressive Games, Card Games, Table Games, Video Poker, Regular and Video Slots. 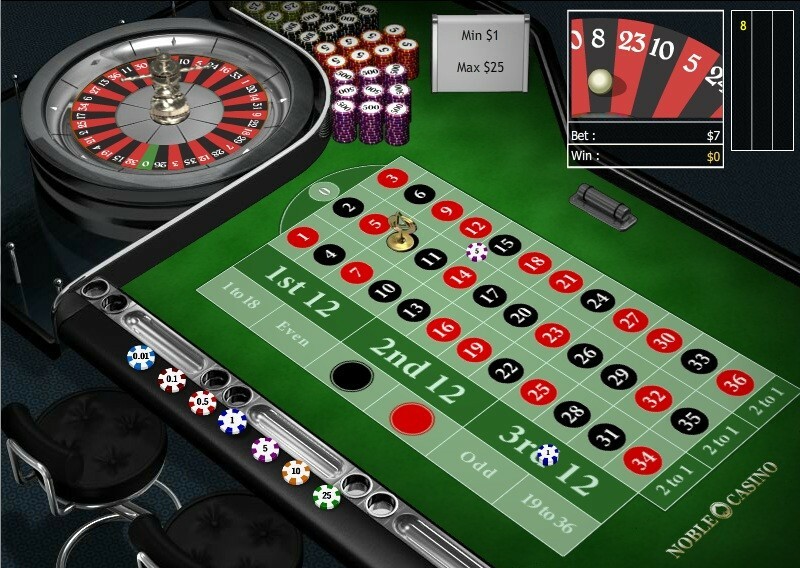 Popular are also the classic Poker, Roulette and Blackjack. Plus, there are the online versions of keno and bingo. Information on every kind of game is presented on the website, each with basic description and images taken from the actual gameplay.